So what is this machine? Our 2010 Acadia SLE is a full-blooded crossover SUV, leaning toward the road-friendly side. A 3.6L V6 powers 288hp and 270lb-ft of torque. The 6-speed automatic transmission has an electronically controlled overdrive and can tow your toys very nicely. This Acadia collects exceptional marks on ride and comfort. This beauty is roomy for seven passengers and still has a decent amount of space for cargo. Check out our pictures! Our Acadia SLE even comes with a auto-dimming rearview mirror, backup camera with sensors, full power accessories, audio and cruise controls on the wheel, and oh-so-much more! And for those not so savory road conditions, this Acadia gives you the upgraded all wheel drive feature along with lots of airbags, daytime running lights, StabiliTrak, and tire pressure monitoring for added security. So, in a nutshell, the ride, handling, safety features, and roomy interior are among the first things owners point to here! 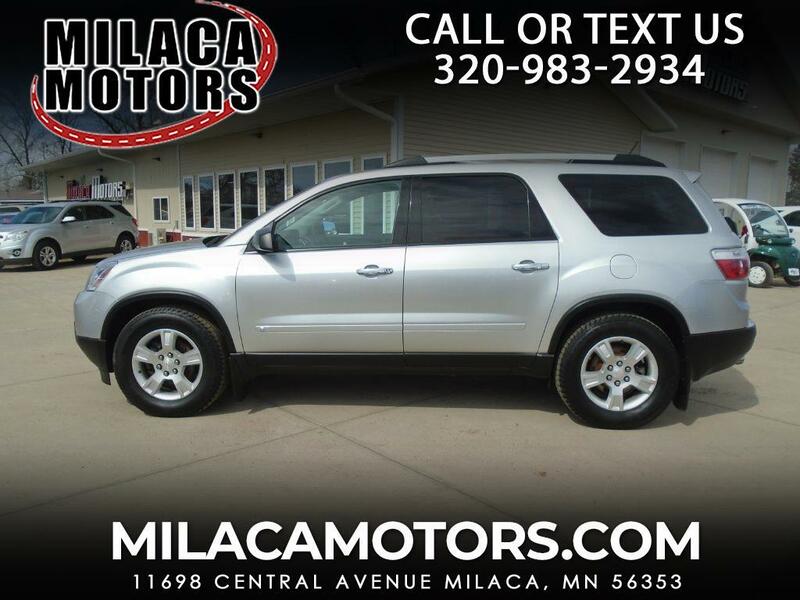 We love this Acadia and so will you! Print this page and call us Now... We Know You Will Enjoy Your Test Drive Towards Ownership!